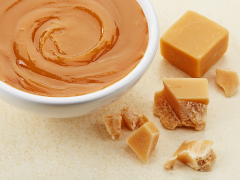 This delightful mix of sweet and savoury really pushes the boundaries of sweet blended cheese. 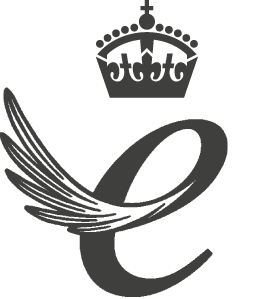 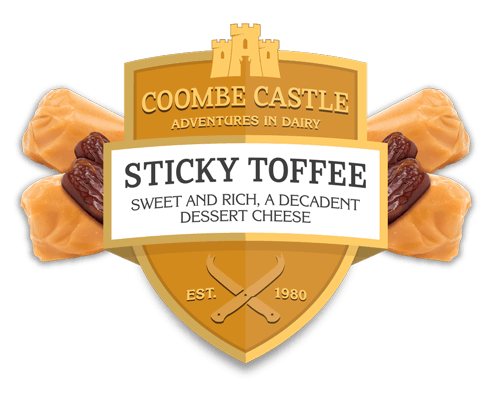 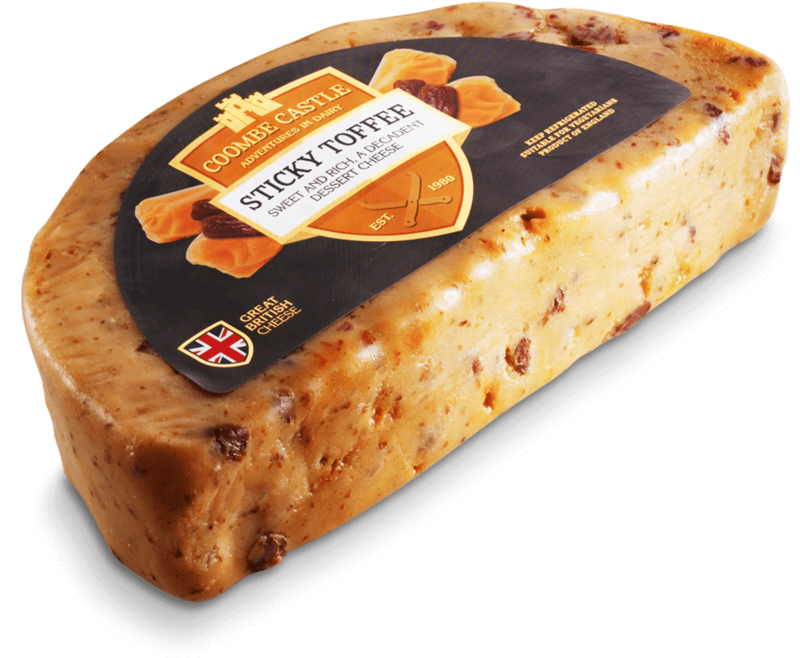 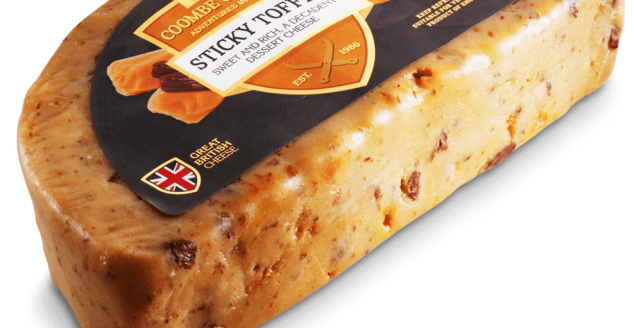 Toffee pieces, raisins, dates and toffee syrup are combined with mild British Cheddar to create this extraordinary cheese. 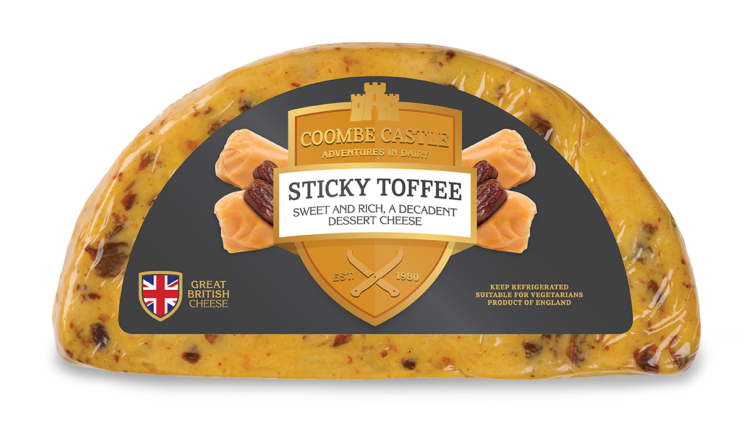 Pasteurised Cow’s Milk, Chopped Dates, Raisins, Toffee Pieces (Sugar, Glucose, Sweetened Condensed Milk, Vegetable Oil, Butter Oil, Natural Flavour), Golden Syrup, Salt, Toffee Flavour, Starter Culture, Vegetarian Rennet.